Digital Download - Courtship Quit Pattern by Missouri Star - Missouri Star Quilt Co. - Missouri Star Quilt Co.
Get yourself some 10" squares to learn how to create a courtship between stars! 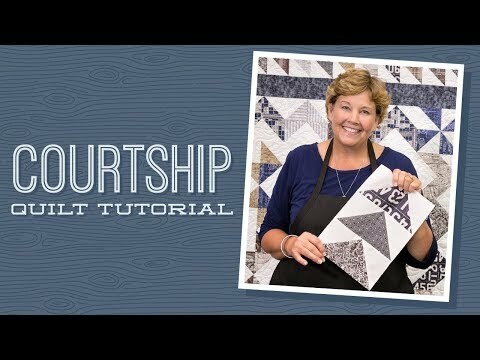 With the Courtship Quilt Pattern, you're not just sewing, you're matchmaking! Finished size: 87" x 87"